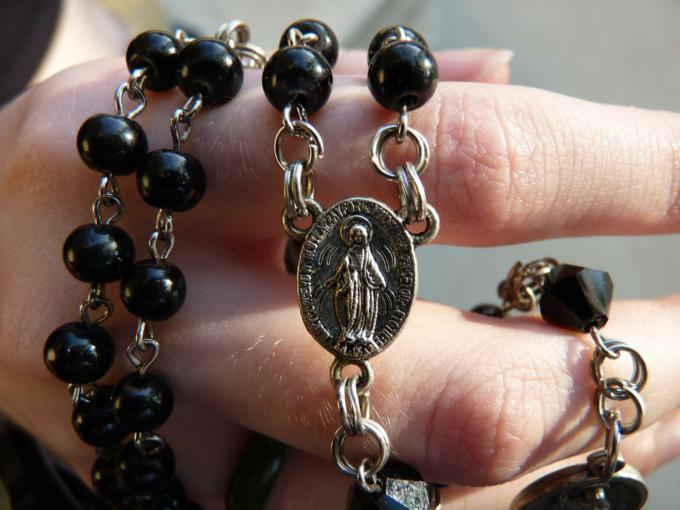 The Seven Sorrows Rosary is a very old but little known devotion focused on seven particularly challenging events in Mary's life. I think it is helpful to have a resolution or personal intention to help focus our spiritual efforts during this period of prayer and penance. This year, I've chosen to travel through Lent in the company of Mary, the mother of Jesus and his first and most faithful disciple. I invite you to do the same, and to join me, as well, in offering prayers and sacrifices for young people during this holy season. Last year's Synod of Bishops on Young People, together with January's celebration of World Youth Day in Panama, has drawn our attention to the situation of young adults in society and the Church. These events challenged us to accompany young adults in their faith journey and vocational discernment. "Being present, supporting and accompanying the journey towards authentic choices is one way for the Church to exercise her maternal function," the Synod Fathers wrote. "Service of this kind is simply the continuation of the way in which the God of Jesus Christ acts towards his people: through constant and heartfelt presence, dedicated and loving closeness and tenderness without limits." Our Lady embodies these qualities, for she knew how to ponder events in her heart and she proved herself attentive to others' needs. Generations have called her Our Lady of Tenderness, Mother of Mercy and Virgin Most Faithful. A number of traditional Catholic devotions such as the Rosary and the Stations of the Cross lead us to ponder Mary's experiences and her role in her Son's saving mission. The Seven Sorrows Rosary is a very old but little known devotion focused on seven particularly challenging events in Mary's life. These events include Simeon's prophecy in the Temple, the flight into Egypt, the loss of Jesus in the Temple, the encounter with Jesus on the way of the Cross, Mary standing at the foot of the Cross, the reception of her Son's body after his death and his placement in the tomb. Trusting in the power of her intercession, this Lent I've decided to offer the Seven Sorrows Rosary for the needs and intentions of young people. It's not that I want to give young people the impression that following Jesus is nothing but a long road of suffering. However, prayerfully reflecting on Mary's sorrows helps us to understand what it means to persevere through life's inevitable difficulties. In Panama Pope Francis encouraged young people to look to Mary as a model of great strength and faithfulness. During the celebration of the Stations of the Cross, the pope said, "From her let us learn how to stand beneath the cross with her same determination and courage, without evasions or illusions. She accompanied the suffering of her Son ... yet was not overwhelmed by it. She was the woman of strength who uttered her 'yes,' who supports and accompanies, protects and embraces. She is the great guardian of hope." The next evening, during the Prayer Vigil, Pope Francis proposed Mary's "yes" to God in the Annunciation as a model worth following. "She knew what was at stake and said 'yes' ... It was the 'yes' of someone prepared to be committed, someone willing to take a risk, ready to stake everything she had, with no more security than the certainty of knowing that she was the bearer of a promise ... The 'yes' and the desire to serve were stronger than any doubts and difficulties." During this Lenten season, I'd like to invite readers, especially young people, to join me and our elderly Residents in pondering Mary as our Lord's first and most courageous, most faithful disciple. Please join us on the journey! Each week we'll be posting reflections from the Synod documents and our Holy Father's talks during World Youth Day in Panama, together with video meditations on the Seven Sorrows Rosary. 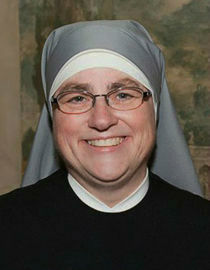 Please join us at www.LittleSistersofthePoor.org!